Licence, permit, registration, certification, accreditation - government has lots of different ways for people to get permission to do something. They all do the same thing - they’re all authorisations by government for an individual or organisation to do something (or not do something). Together with some of our colleagues at agencies and departments across government, we’ve just completed a discovery about what ‘getting permission from government’ looks like now, and what it might look like in a world of government as a platform. We’re not trying to create a uniform, one-size-fits-all permissions ‘system’. But, we are looking into how common frustrations and similar processes might be opportunities to bring consistency to getting permission for users, and ease of service delivery for government. What do you mean, ‘permission’? There are hundreds of government ‘permissions’ written into our laws. Over 100 million permissions are issued each year. Each one allows us to do specific activities that would otherwise be illegal e.g. drive a car, import chemicals, cross international borders, transport waste, look after children, sell alcohol, fish with a rod, and so on. These permissions exist for a number of reasons, from collecting money to upholding a particular standard that keeps people safe, from protecting a natural resource or environment to regulating trade. However, more often than not users need to get several licences, exemptions or certificates to do one activity, like run a pub. These separate pieces often need to be completed in a particular order and are provided by different parts of government - meaning that users need to act as a government go-between to get permission for the activity they need to do. Users who haven’t done that activity before often find themselves in a position where they don’t know if they need permission to do something or which permissions they might need, from where. At this point, they will often need to consult with someone who has done the thing before, or a paid expert to negotiate government’s technical terms or legal jargon on their behalf. Changes to the rules of these permissions can also have an impact on their lives and businesses - something that users often aren’t aware of until the change has been made. We think that the ways government gives permission could be better for users, and cheaper to provide. 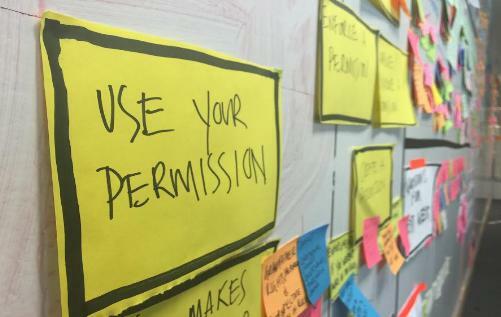 Our team (part of Agency Transformation - see Felicity Singleton’s post), have been asking the question ‘What does a good permission look like?’. Put simply, a good permission should meet user needs, be cost effective and serve the regulatory objectives it was created to uphold (safety, resource protection, fair trade etc). We’ve spoken to people needing permission to do a broad spread of activities (such as childminding, running a pub, driving a car, buying a fishing boat, selling caviar, getting a job in security) in order to understand where there are similarities and differences in the way they understand ‘permission’ as well looking closely at the ways that agencies across government process and issue permission. While each permission itself supports a specific ‘unique’ activity (or set of activities), the fundamental process of applying for a permission for the user and granting and issuing for each agency is very similar. Common frustrations and problems seem to exist for users and agencies along the permissions journey. Common user problems + similar government processes = opportunities for service standards and platforms. We are gradually widening the debate and testing our ideas. Recently we held a Show and Tell for the agencies involved in our discovery work. The feedback was very encouraging. The big question for everyone was: ‘What would this look like in reality?’. And that’s what we are working on next. Follow Louise Downe on Twitter and don't forget to sign up for email alerts. The work we have been doing in Warwickshire on attribute exchange makes a direct contribution to this discussion. Attribute exchange is defined as the online, real-time exchange of data between organisations specific to a transaction, and with a verified user's permission. This is relevant to your improvement aim of "removing manual process steps for users and government - like requesting a criminal record check - and replacing them with automated checks conducted with a user’s consent". This can transform online transactions, as described in our OIX White Paper: http://oixuk.org/wp-content/uploads/2014/09/WCC-2-white-paper-FINAL.pdf. 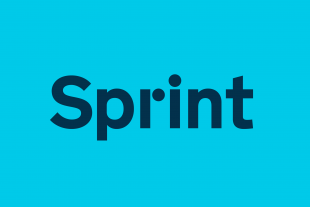 Since this White Paper we have moved on to an Alpha project (in the process of being written up) in which Verizon, one of our partners, built a working prototype attribute exchange hub. This generic, standards-based attribute exchange hub has all the qualifications to become part of government as a platform, and is closely associated with the Verify identity assurance solution. As an adjunct to my comment above this is how a planning permission is handled. The application goes to the local authority who contacts all the statutory bodies that are involved and then decides whether to grant or refuse the application. Absolutely. I think your point is connected to all of the areas for improvement that we are focussing on - helping users to find what permission they need before they do it - or to let them know sooner that they don’t need permission, or can’t have permission because they aren’t eligible - will stop them from going through lots of information hoops. Equally, removing manual process steps for users and government is also about avoiding unnecessary information input. In fact, removing duplication in data submission is key to making the process of change to a permission by government faster and more transparent for users. Where more than one permission is needed for a single activity (your example running a pub) avoid the need to input information more than once. Also helpful would be to link the related applications (such as the pub example) and create a smart answers-style filter that determines which permissions are needed based on the user's situation.